Remove the steering knuckle assembly from the vehicle. Refer to Steering Knuckle Replacement. 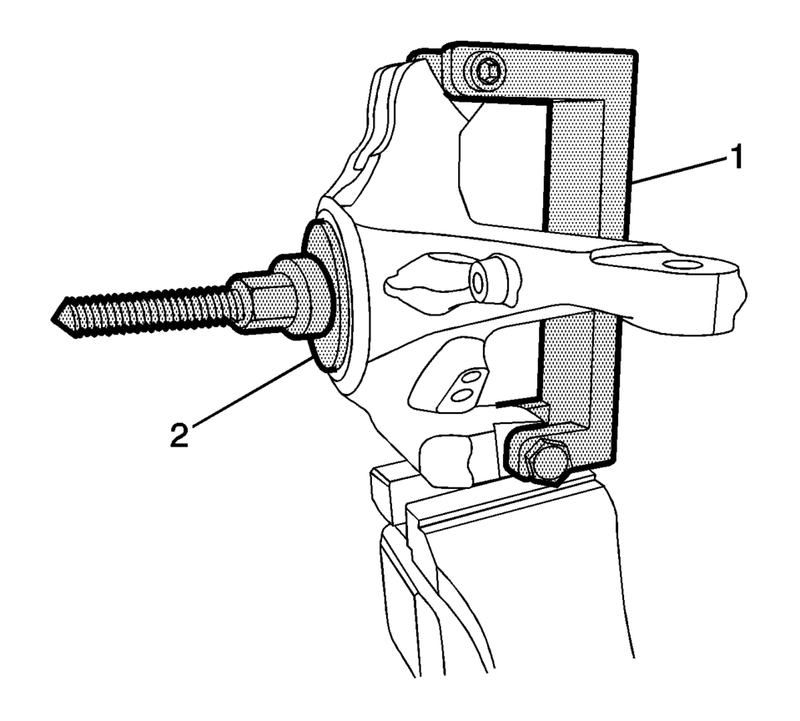 Position the steering knuckle assembly (1) in a suitable vise. Position the CH-50059-1 wheel hub/bearing removal/installation bridge assembly (1) and the CH-50559-2 wheel hub/bearing removal/installation adapter (2) on the wheel bearing inner hub. Using the CH-50059-1 and the CH-50559-2 , remove the wheel hub from the wheel bearing. If the inner race of the bearing is pulled out with the hub, remove the inner race from the using the appropriate tools (1, 2). 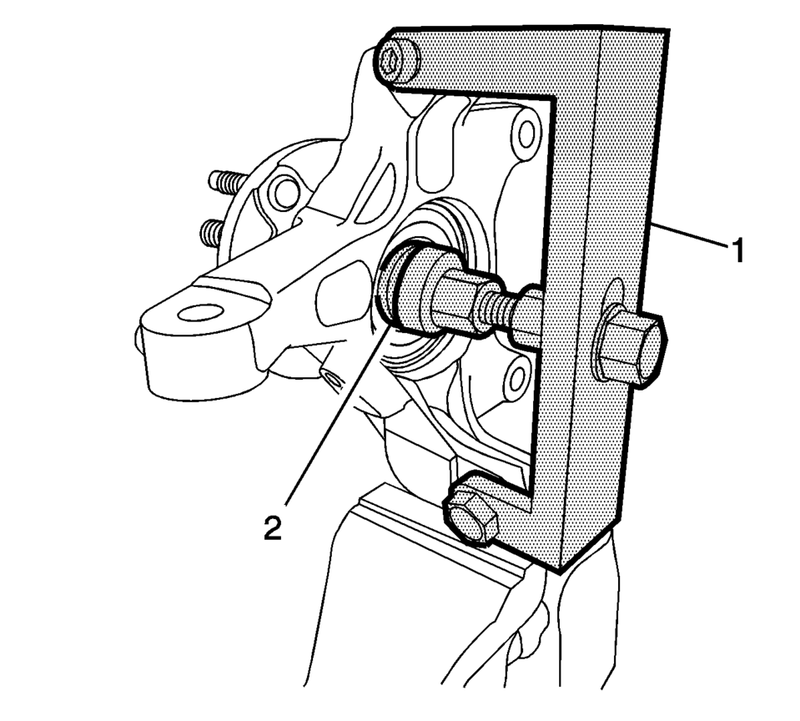 Using the appropriate tool, remove the retaining ring (1) from the steering knuckle. Position the CH-50559-1 wheel hub/bearing removal/installation bridge assembly (1) and the CH-50559-3 wheel bearing removal adapter (2) on the steering knuckle. 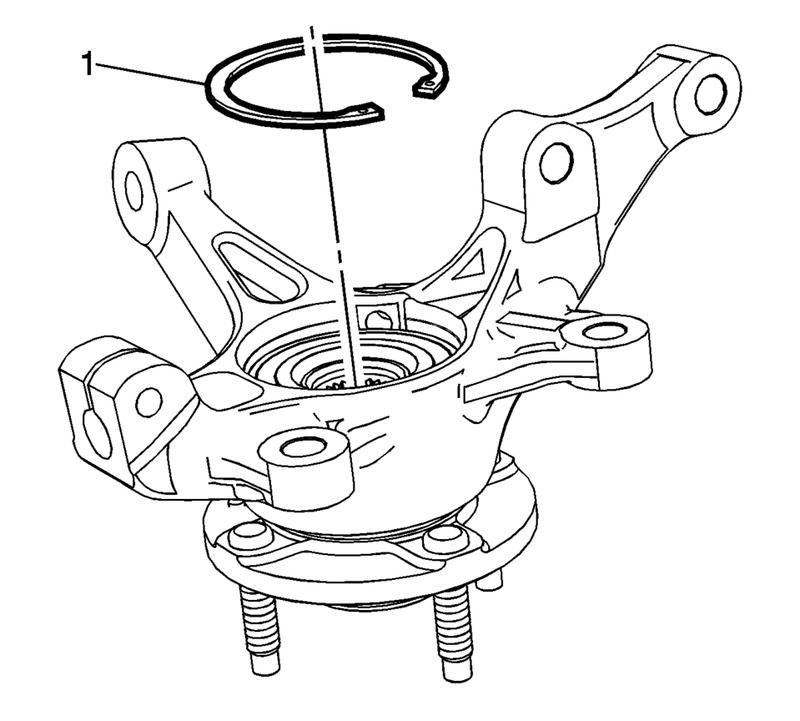 Remove the wheel bearing from the steering knuckle and discard it. Inspect the bore of the of the steering knuckle for pitting, scoring wear, or corrosion. If damage cannot be easily cleaned up with light sanding, replace the steering knuckle. 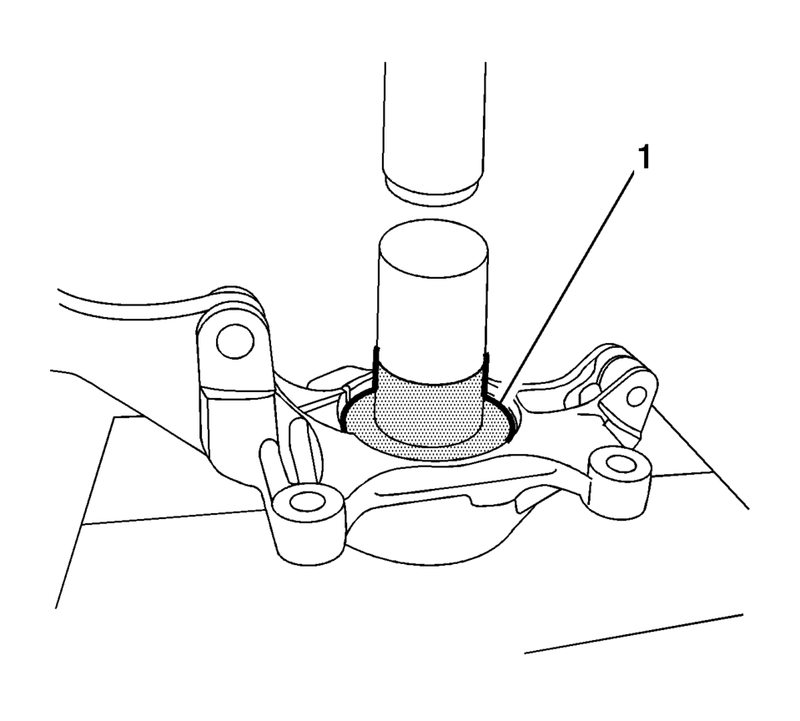 The bearing must be installed with the rubber seal facing inboard. 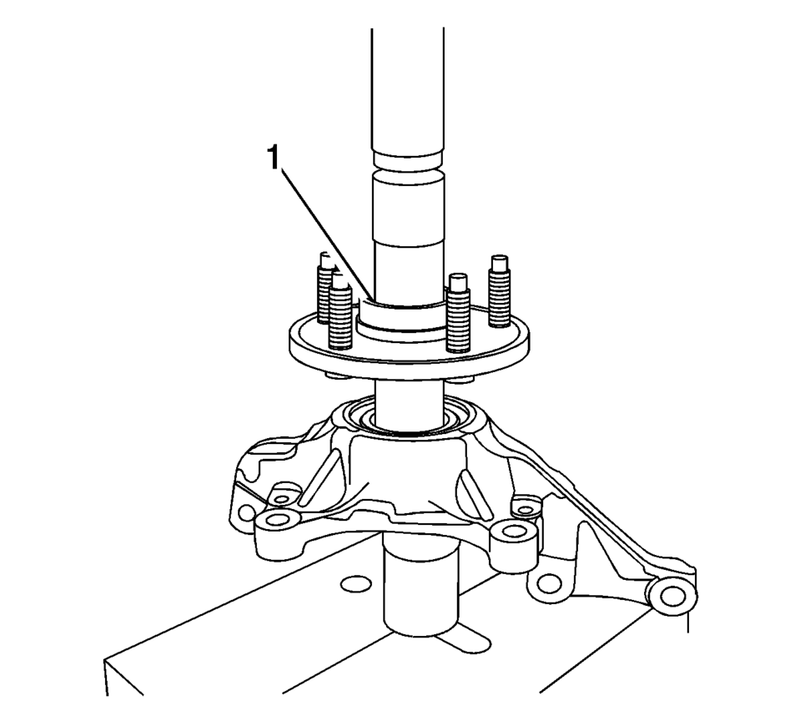 Ensure that the wheel bearing is evenly seated in the steering knuckle. Using the CH-50559-4 wheel hub/bearing installation adapter (1) and the appropriate extension and press, install the new bearing into the steering knuckle until it is correctly seated. Position the CH-50559-4 (1) wheel hub/bearing installation adapter and the appropriate extension to the inside of the bearing and position the CH-50559-2 wheel hub removal/installation adapter and the appropriate extension on the wheel hub. 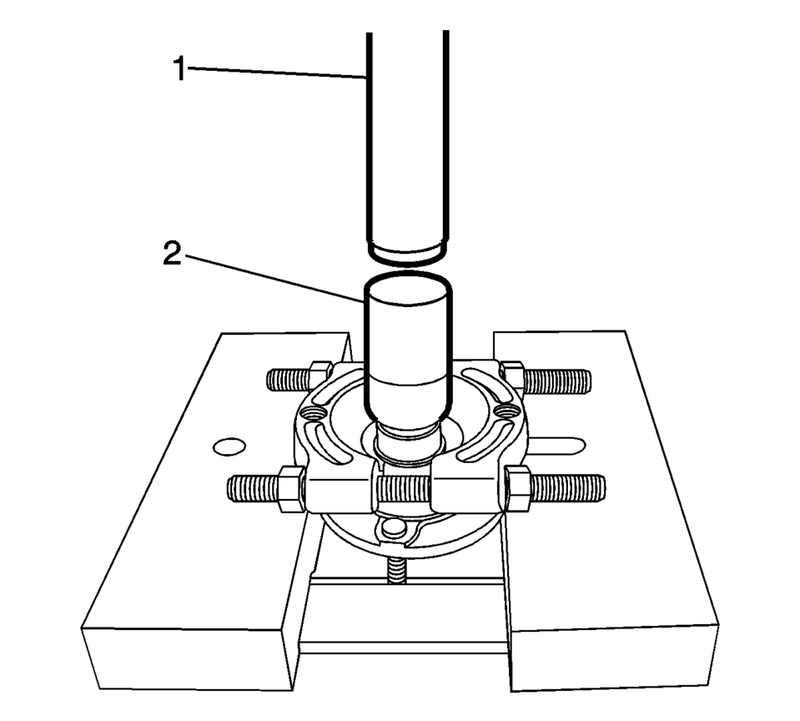 Press in the hub until it is correctly seated. Using the appropriate tool, install the retaining ring (1). Verify the hub rotates smoothly. Install the steering knuckle assembly in the vehicle. Refer to Steering Knuckle Replacement.